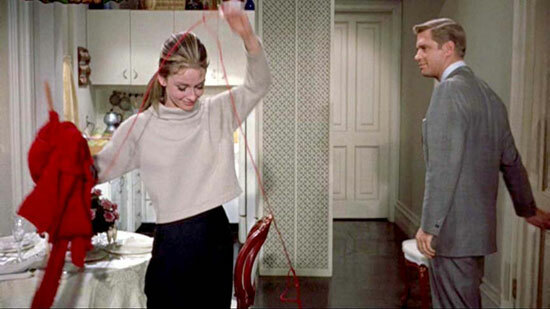 Writing about needlework in the film Bright Star last month got me wondering — and Googling — about other portrayals of sewing, weaving, embroidery, and the like in film. I poked around the web for a couple of weeks and contacted film experts and friends of long-standing Cari Beauchamp and Sloan Seale for suggestions. (Cari is the author of a host of books on film including: Without Lying Down: Frances Marion and the Powerful Women of Early Hollywood Joseph P. Kennedy Presents: His Hollywood Years and Adventures of a Hollywood Secretary: Her Private Letters from Inside the Studios of the 1920s with Valeria Belletti and Sam Goldwyn Jr.) The result is the highly idiosyncratic list below. I am indebted to artist Sabrina Gschwandtner and Fiberarts editor Marci Rae McDade who compiled a list of feature-length fiber-related films in the April/May 2009 issue of Fiberarts (their selections are asterisked below). I have added the parantheticals and other nominees in developing my own compilation. For a much more extensive list (132!) 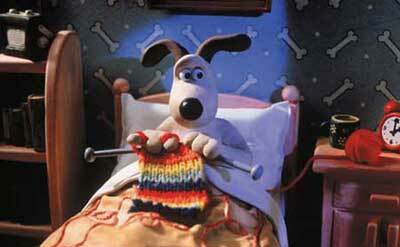 of films that feature just knitting, see Knitting in the Movies; there’s another at Knit Flix. 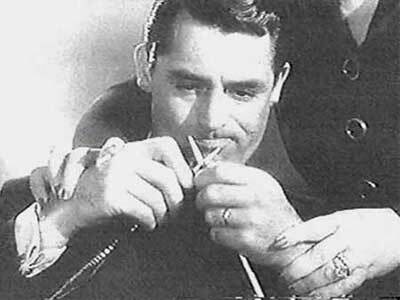 Amelie, 2001 (tobaccionist is crocheting). Gone with the Wind,* Victor Fleming, 1939 (When Melanie is reading while the women are waiting, one of them is crocething). Now, Voyager, 1942. Bette Davis operates a loom at the sanatorium where she goes to stave off a nervous breakdown and later on in the film she knits on deck on a cruise. The Lone Wolf battles Nazi spies, including Valerie King, intent on stealing military plans. 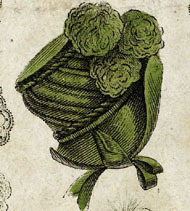 At one point, Valerie’s purse spills open and a patch of crocheted lace falls out. Later, The Whistler, a mercenary, approaches the Lone Wolf and reveals that King delivered the lace to a laundry and has arranged to pick it up at midnight. The Whistler gets hold of the lace, and when he and another mercenary, unravel the lace, they decipher a code directing Valerie to a midnight meeting with a submarine. Pluto’s Sweater, 1949, animated (Pluto is teased when he wears a red sweater knit for him by Minnie.). And What’s with handwork and the criminal element? In A Cry In The Dark, 1988, Meryl Streep knits while discussing the trial where her baby is carried off by a dingo in Australia. 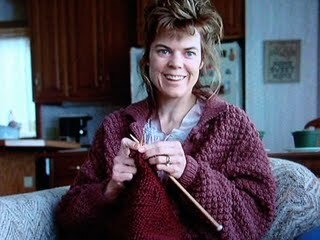 In Chicago, 2002, Roxie Hart (Renee Zellweger) knits during her murder trial and in Murder Most Foul, 1964. Margaret Rutherford knits in jury box. In No Escape, 1999, male prisoners are seen spinning and knitting. And in Foul Play, 1978, Goldie Hawn uses a knitting needle as a weapon and so does a seemingly mild-mannered grandmother in George Romero’s The Crazies, 1973). Add your nominees to the list by posting a comment here or writing us at art@browngrotta.com. Thanks!